Our PPF clear paint protection film offers breakthrough technology for everything on 2, 4 or even more wheels. Paint protection film features and benefits include: invisible protection from damage caused by stones, salt, insects & other debris. We offer three standard car bodywork protection packages for almost any make of car, including specials and modified vehicles. We can cover all, or just part of your vehicle. Paint protection for most makes and models of cars with a 5 year warranty! Motorcycle amour paint protection film dealer and installer, based in Northamptonshire. Bodyguard UK can apply our range of products to your motorbike, or supply kits direct for you to fit at home. We offer kits for most makes and models of bikes. 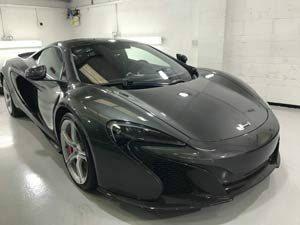 Here at Bodyguard UK we have over 10 years experience of supplying and installing PPF (Paint Protection Film) to a variety of vehicles from pedal cycles to motorbikes, family cars to Formula 1 cars and everything in between. We are one of the Midlands leading installer of Paint Protection Films and offer a service comparable with, if not better than any available anywhere else in the UK or Europe. Our mission is to protect your vehicle from the many assaults it will face on today’s highways, byways and all points in-between. 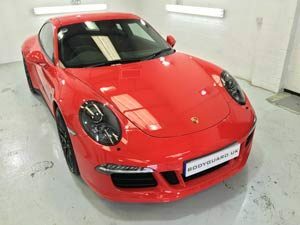 By having our Paint Protection Film applied to your vehicle, it will help you reduce the maintenance needed to keep your vehicle looking the way you want it, whilst helping to ensure it’s future value and negate the need for costly paint or surface repairs when you come to sell or return your vehicle. 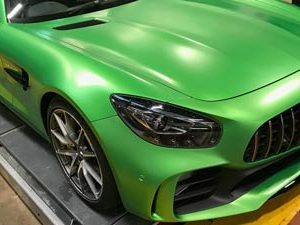 We currently supply Paint Protection Film solutions to the press and performance fleets of global manufactures, in addition to an increasing number of Formula 1 teams. Our repeat customers come from all walks of life and cover vehicles from small hatchbacks right up to the latest supercars. Coupled with our in-house detailing service, Bodyguard UK are able to offer the complete service for enhancing and maintaining the exterior and interior of your vehicle. Bodyguard UK has good relationships with all of the major Paint Protection Film manufactures, and constantly look at all competitors in the market to offer the best Paint Protection products to our customers, which in turn means we are not tied to using one particular brand of film. This enables us to use the best film for the particular needs of your vehicle and the journeys on which you’ll take it. 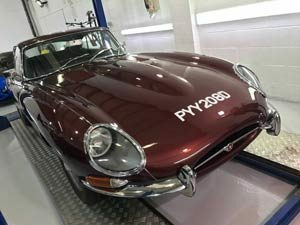 It also allows us to take advantage of new developments in clear vinyl wrap as soon as they hit the market, such as self healing properties, hydrophobic top coats or extended warranties. 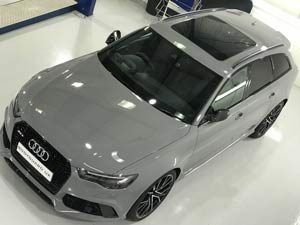 Bodyguard UK work with various design houses to access vehicle specific patterns enabling us to install car paint protection kits to an extensive range of vehicles. We can also design our own vehicle templates using state of the art design software which can allow for one-off projects as well as multi application templates. Just a small note to say a big 'Thank You' for your excellent work on Saturday morning. You've done a marvelous job on my bike - all 27 pieces of it! It really is first class piece of work and I certainly wouldn't hesitate to recommend Bodyguard UK to anyone who was looking for the best in bodywork and paint protection. I was fed up of getting stone chips on the front of my car all the time and I can definitely say that SunTek does work. I use the motorway all the time, and since having the SunTek fitted it has really saved the front end of my car. My car cost over £100k so when any works needs addressing it is important to use a reputable and professional company to ensure both a good job and that my car is secure. BodyguardUK were recommended to me for their professionalism and the whole car was covered in SunTek whilst my car was left at the premises. Upon my return the car was completed in perfect time, a perfect fit and looked immaculate. I am very impressed by the SunTek protection for my car and now too have no hesitation in recommending BodyguardUK. Just had my new motorbike covered in the SunTek paint protection film. I always used to get stonechips on the front of my bike especially when following friends on rides out. This film is really hard to see when fitted and well worth the money. Also had a helmet protection kit fitted to my Shoei whilst they installed the bike kit for me. Thanks to all at Bodyguard UK! This product has to be a must considering the waterbased paints that are used on todays cars. Don't know why the dealers aren't offering this to customers as I would have had this done before I collected it. You can leave your testimonial here!